If you’ve already read through our guide on how to start an ecommerce business, you know to start with different types of products and market demand. The truth is that there is no “right” answer to selecting the best type of product—but there are some guidelines you can use for better profitability. There are two types of products you can sell—commoditized and niche products. Commodities are products with few differentiating factors. On a large scale, these include trade commodities like oil, wheat, or steel. But the same concept applies to what you sell, too. 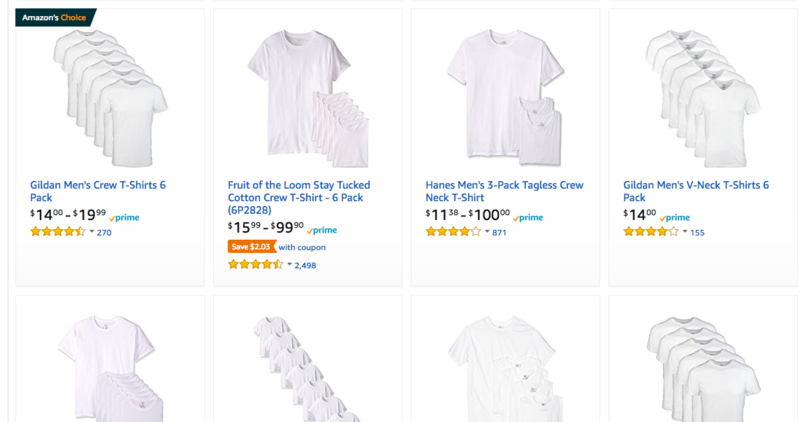 If you choose to sell white t-shirts, for example, you’re selling a commodity product. Your t-shirts are no different than t-shirts available from somewhere else—and most people will buy based on price. If you’re going to compete on price, this isn’t a bad option. Walmart and Amazon thrive on selling these kinds of basic commodity products at discounted prices. But for most eCommerce store owners, this isn’t a wise decision. Amazon and Walmart have the benefit of scale. Multi-billion-dollar companies can afford to make a few cents of each purchase. But for almost anyone else, this is a surefire way to end up broke. Instead, develop a niche product. Returning to our t-shirt example, Threadless is a great example of a niche market. If commodities are basically identical from one seller to the next, niche products are the opposite—different with each seller. 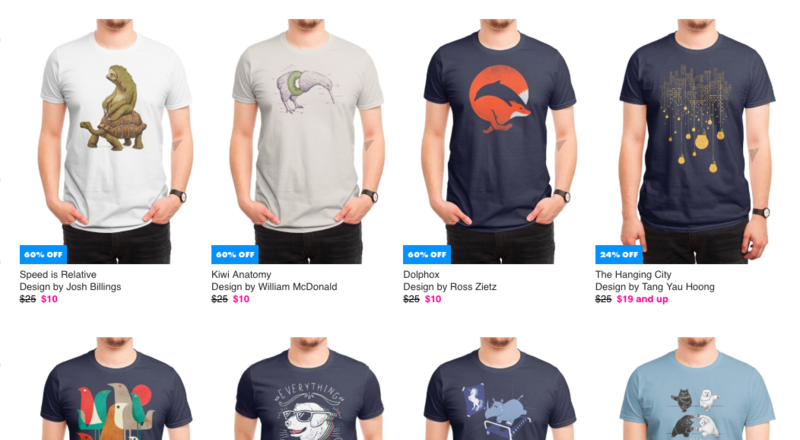 You can’t find these Threadless designs anywhere except on Threadless. This means they can charge a higher price. Notice how each Threadless tee costs about the same as a package of shirts on Amazon. This is helpful to know when you start to price your product. That’s the value of a niche product. Because you’re selling something unique, consumers don’t buy on price (at least, not to the same degree). As a result, you can charge far more—and make a decent profit. With that in mind, how can you find a great niche product? There are as many methods as eCommerce store owners, but we’ll focus on what’s been proven to work the best. The first place to start is in the real world. Yes, the internet is a tempting place to research products, but it has a few disadvantages. First, most people start there. That means they leave tons of opportunities on the table for real-world market research. If you like, you can even invite those people to get updates—who said you can’t build your email list doing market research? Second, what you find on the internet is usually second hand. That means that the data you find isn’t produced by customers paying for products—it’s based on the effects of those purchases. When you go to the real world, though, you can talk to the real people who spend money, and find out what they like and don’t like. Start off by thinking of the problems you experience on a regular basis. You can also ask friends, acquaintances, or complete strangers this as well! You’ll find a mountain of products that solve common problems. Here’s an example: pepper spray bottles are inconvenient to carry, especially when running. So if you’re jogging in the city, what should you carry instead? 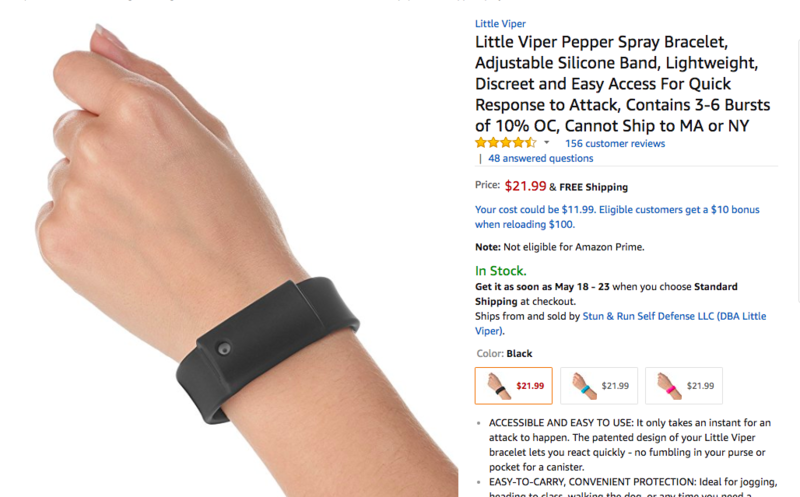 This simple pepper spray bracelet solves the problem with an easy-to-carry protection device around your wrist. The ideal problem-solving product is usually so simple you’ll wonder why you didn’t think of it before. That’s a great place to be because it means people with the same problem are asking why they don’t already own what you’re selling. Not all products solve problems. Some items are just inherently interesting to a small group of people. If that group includes you, it’s the perfect way to go about setting up your eCommerce store. The more knowledge you have about a niche, the faster you can bring a product to market. 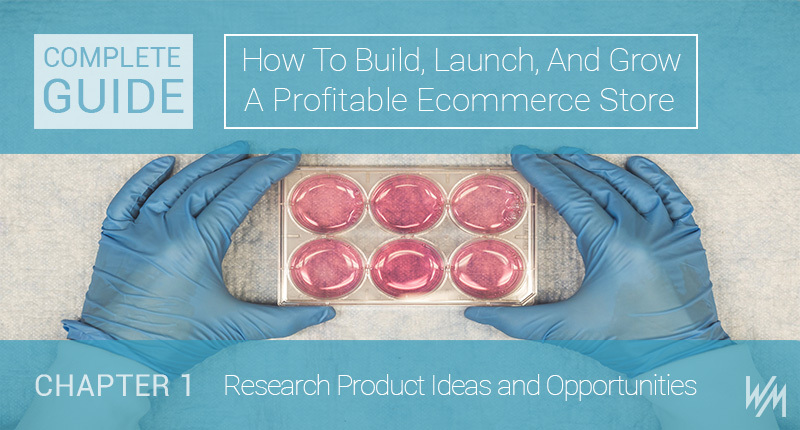 You’ll shave hours, weeks—even months off your research if it’s a product you already use. 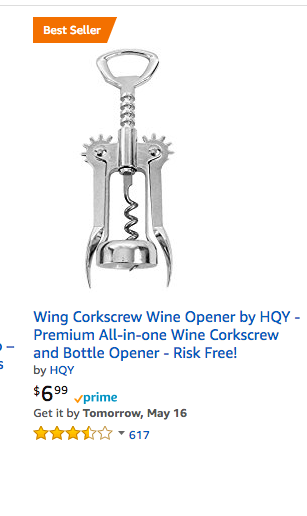 Here’s a tip: if your product is listed as a category on Amazon, you’ve got a good shot at success. Somebody is already making money, and you could, too! To find profitable areas, make a list of your hobbies and interests. But look one level deeper. Understand the products you spend money on, not just the general categories. For example, you might realize you’re interested in fitness. But if you have a gym membership, you probably don’t spend anything on equipment like barbells and weights. But if you spend $100 on new workout clothes every month, that could be a very profitable niche. Potential niches and interests include electronics, books, clothing, office supplies, sporting goods, pet supplies, tools, and accessories. 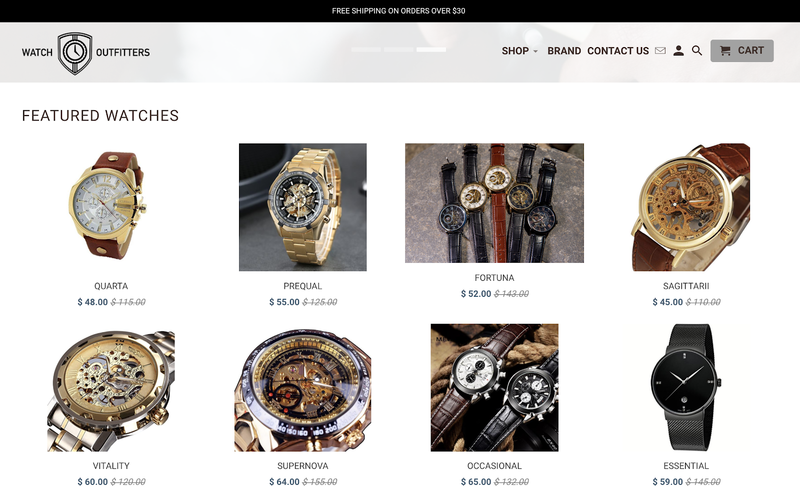 A great example of creating an eCommerce niche based on your existing interests is Watch Outfitters created by Jonah, a 17-year old on Shopify. According to Jonah: “There are a lot of jewelers in my family and I personally love watches, so I decided to launch my own store based on my hobby and knowledge of watches. “Growing up I saw how different retailers would charge crazy amounts of money for watches of a similar style and quality that were a quarter of the cost. Jonah’s passion paid off and his store generates an insane $13,500 a month. 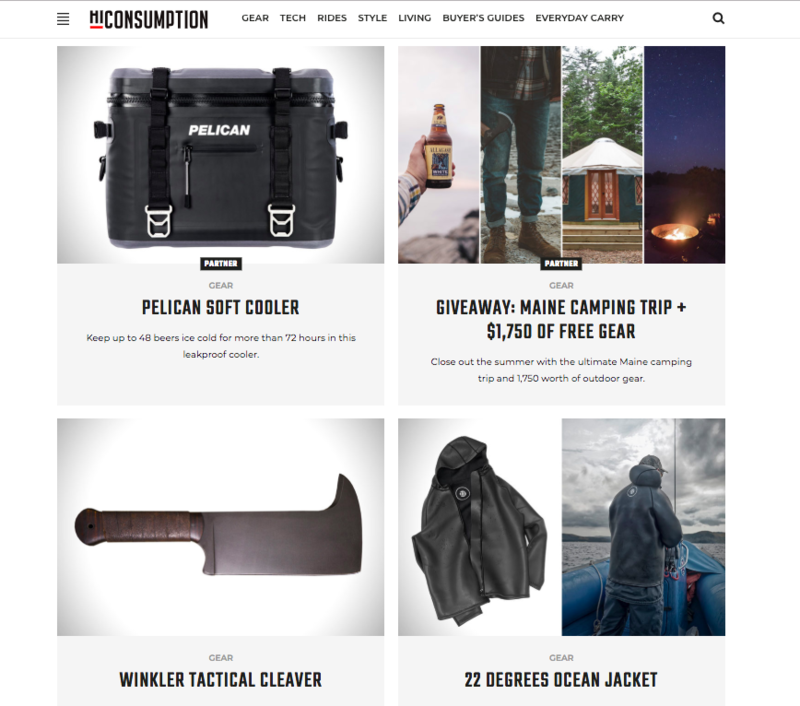 Products you love or hate are great opportunities for an eCommerce store. Learning what makes a product unique is a great way to create a niche for yourself. To start, write down products you use on a regular basis. Beside each one, write down all the problems you can think of with the product. These problems could be minor inconveniences or huge flaws in their design. Alternatively, you could also write down some things you wish the product had that it doesn’t currently have. Finally, write down all the ways you feel that you could improve the product. Many of the best and most innovative companies were founded on the desire to either improve on existing products or to fill a gap that in the market. A good example of this is the Honest company founded by Jessica Alba. While pregnant and after giving birth, Alba noticed that all the products she found in the market for babies contained harmful chemicals that made them unsafe. 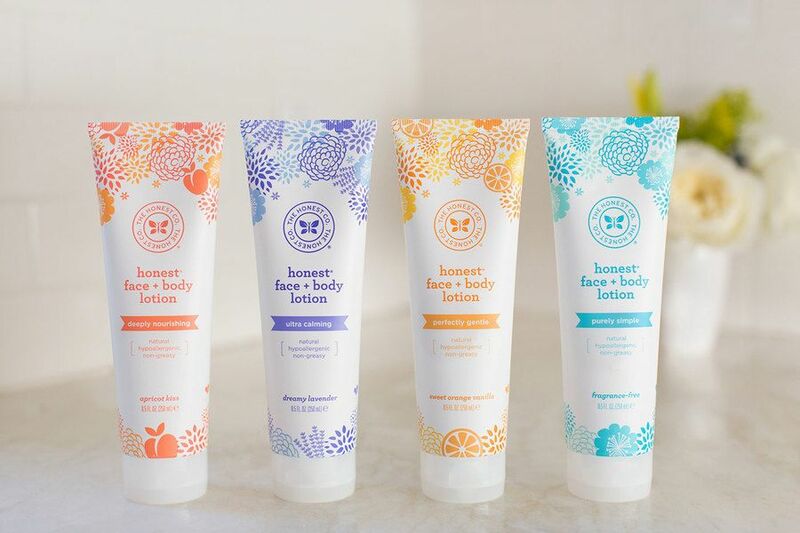 When she couldn’t find any alternative in the market, she created one in the form of the Honest Company which produces and sells chemical-free, natural and safe products for babies. This business model is tried, tested and one you should definitely look into. You can also ask others for their opinions, or think about what your friends complain about. Reach out to friends via social media and ask them to share their opinions about the products they have purchased. Also be observant. When you’re around friends and peers, observe their responses to the products they buy and use. Ask them what challenges they are facing with products in a certain niche. Ask them products would make their lives easier, what they would like to buy, and what items they can’t find. Now it’s time to dive into what the internet has to offer. A quick warning before we get started—don’t waste much time researching more than you need to. Sure, it’s a good idea to research until you find exactly what to sell. But don’t get so caught in the analysis that you’re paralyzed to move forward. I’ve known beginner entrepreneurs who have spent years researching without ever trying something in real life. Don’t be that person. 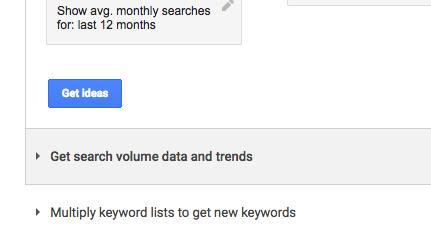 That said, we’ll start with keyword research. This will tell us what people are looking for, and how we can find or create a product to meet that need. For this, you can use a few different tools. 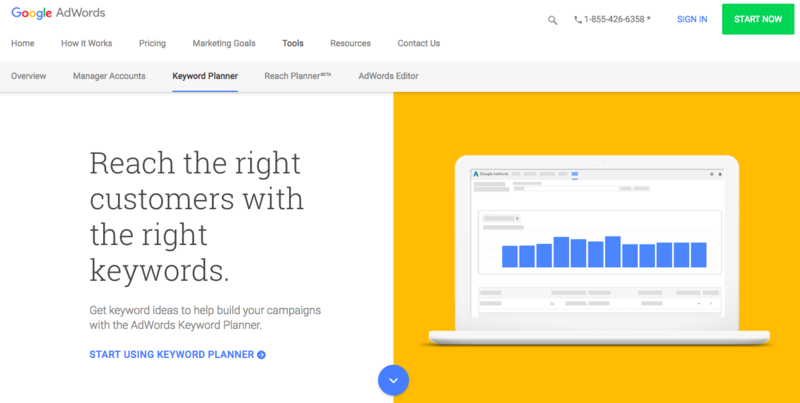 A great free tool is the Google Keyword Planner. 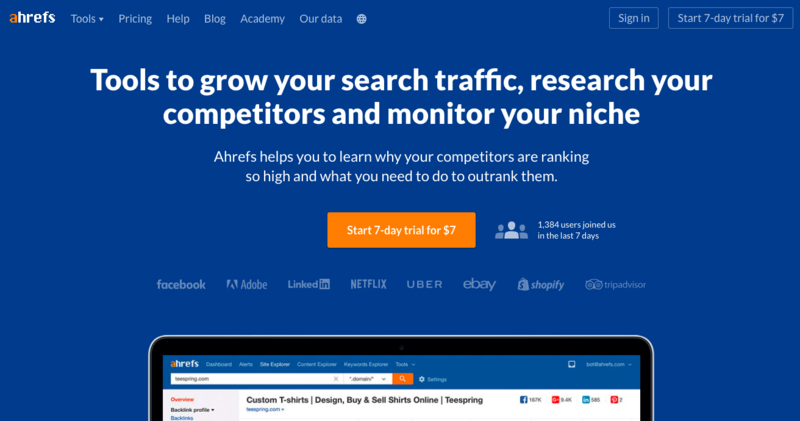 You can also use a more advanced keyword research tool like Ahrefs for this step. I’ll be using both in my examples. Let’s start with brand terms. 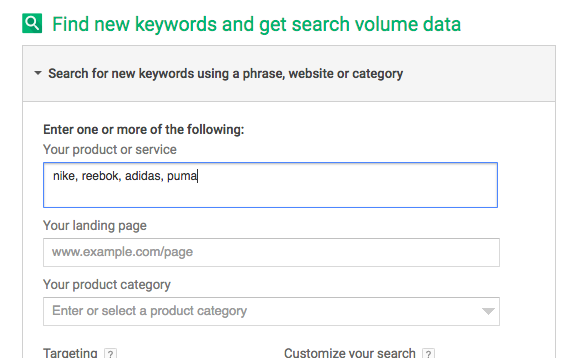 In Google Keyword Planner, you can type in the name of brands you’d like to track. If you’re interested in athletic shoes, for instance, you might include Nike, Reebok, Adidas, and Puma. Google will return hundreds of keywords based on those brand names. You can use this to learn what styles, uses, or even colors people are interested in. One downside is that it’s hard to create a niche from brand-name products. At the end of the day, Nike shoes are a commodity. That’s where the next strategy comes into play. 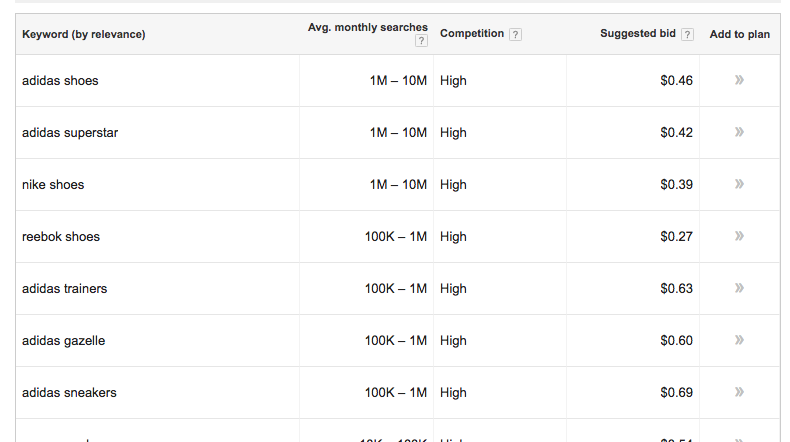 This will bring up lots of different search terms, along with their keyword difficulty (how hard it is to rank) and lots of other useful information. There are a few interesting sub-niches in this group. Keywords like “succulents terrarium,” “succulents wallpaper,” “succulents wholesale,” and “succulents fertilizer” have interesting potential for great products. We can use basic product terms to find interesting concepts to sell. Here are some related searches for the term “survival tools.” Notice how people interested in tools would probably also buy survival food, survival kits, and bug-out bags. This indicates a mature niche with lots of potential for different products. You might start by selling a few all-in-one tools, but you’d have the flexibility to move onto freeze-dried food or complete kits later. It’s a good idea to start small, but keyword research can also help you find niches with room for expansion as your eCommerce store grows. If you’re in a well-defined niche, you probably have a good idea about who your competitors are. That’s great news because you can research them! Then you can take that information and position your brand compared to others in the space. If you’re selling coffee, for example, there are some looming brands dominating the industry: Starbucks, Folgers, and Maxwell House to name a few. Pop the Folger’s website into Ahrefs. 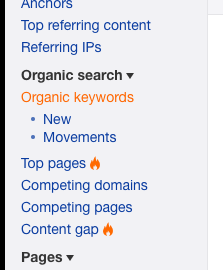 And look at their organic keywords. A lot of their top keywords are just the brand name—that’s to be expected with any well-known company. These are phrases you can use to develop products or explanatory articles explaining your products. You can learn a lot about how people see your product by searching for alternative products. For example, hydration packs (like CamelBak) aren’t as popular as water bottles. Instead of scrambling to find data on hydration packs, look for water bottles. 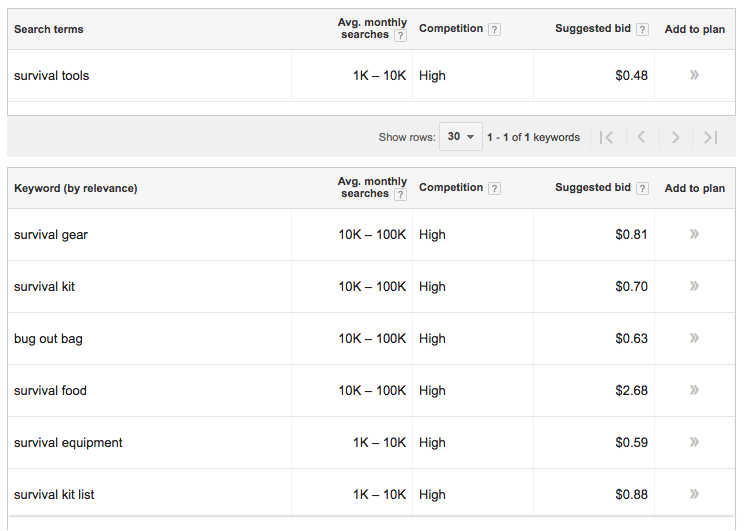 Searching for that on Google Keyword Planner shows what people are looking for. Adding features people want in water bottles—like insulation, cooling, and sports-oriented—are concepts you can add to your hydration pack store. If you’re looking to be at the forefront of new products, you need to follow online trends like a hawk. But with risk comes opportunity, and trends can tell you where the next big thing is. Many companies who jumped on trends early have stayed profitable for years. Think of OtterBox, the company that makes waterproof smartphone cases. They began in 1998. When the iPod first launched, they began making cases for Apple products. When the iPhone came out six years later, they were ready to pounce. 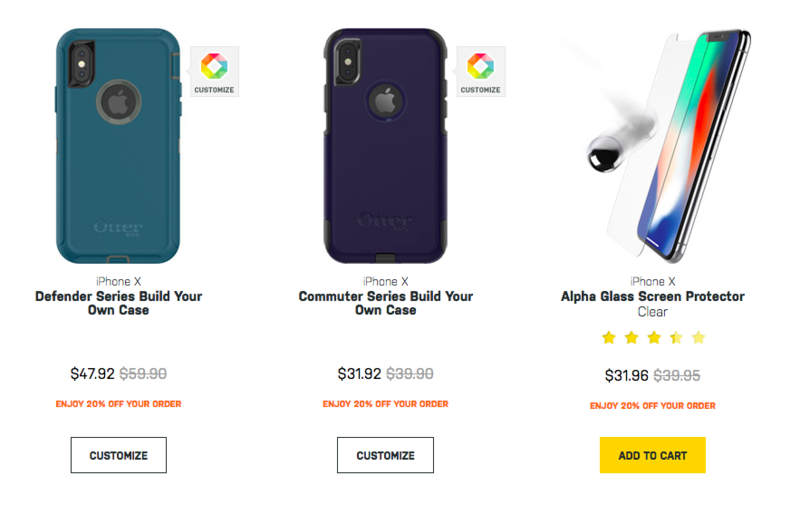 Today, OtterBox does $1 billion in yearly revenue, is the #1 selling case in the US and Canada, and even outfits the US military with heavy-duty device cases. If you want to find a profitable niche before anyone else, trends are the way to go. 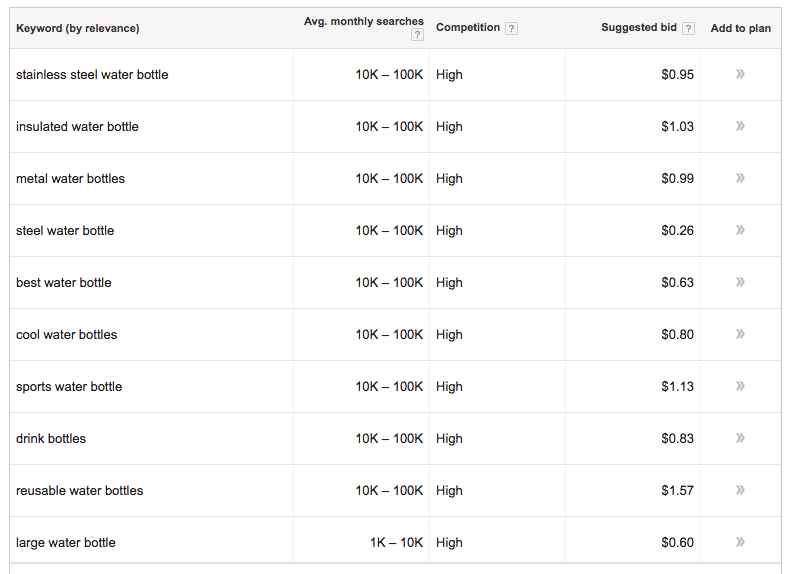 Google has two tools you can use to find trending products. Then check the Google suggested results. These ideas—energy bars, breakfast bars, energy bites—are topics Google recognizes as common searches right now. The other method is more direct—use Google Trends to see how search terms are performing over time. I like measuring the trend over a period of a few years, so select past five years. Here’s protein bars for the past five years. This shows a pretty consistent upward trend—people are more and more interest each year. Sure, it’s not huge growth, but that’s usually a good thing. 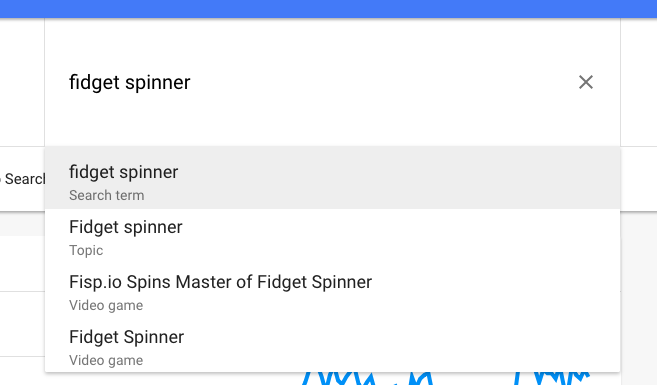 Then type your phrase, and click “search term.” I’m comparing fidget spinners. As you can see fidget spinners dwarfed energy bars, but only for a while. 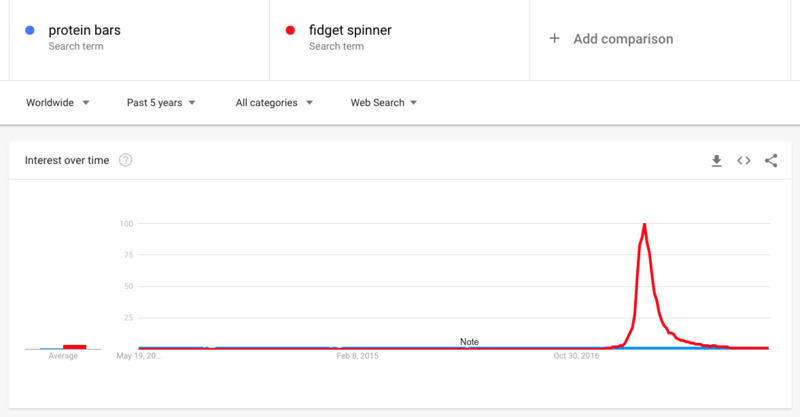 They were a fad that peaked for a few months, the plummeted. That’s the kind of product you don’t want to sell. 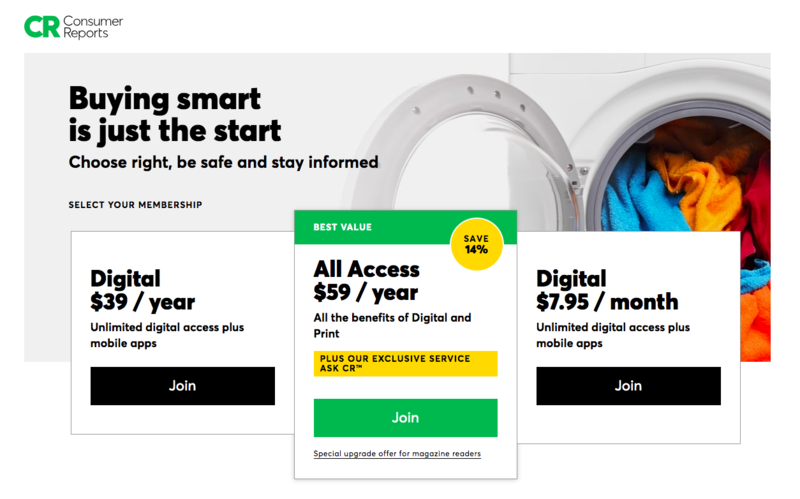 In a few years (or even months), the fad will dry up and you won’t have any more customers. Sometimes the insiders find new trends before anyone else. If you’re following these people, you can tap into products before they become popular. To do this, you’ll need to find the blogs and publications dedicated to your niche. These places keep their finger on the pulse of new products and are a great way to stay up to date with what’s happening. When you’re in the product idea phase, check these sites regularly—at least once a week, and as often as a few times a day. The goal is to find concepts before they become mainstream. Once a product gets to a product review site, it’s already become somewhat popular. But it can be the perfect opportunity to find out where a product is headed before others start selling it. To use this strategy, find review sites in your niche. These will probably be sites that review products in different niches, but all centered around a theme. For example, HiConsumption is a lifestyle site for men. If you sell clothing, survival, or gadgets, you can find neat products here. 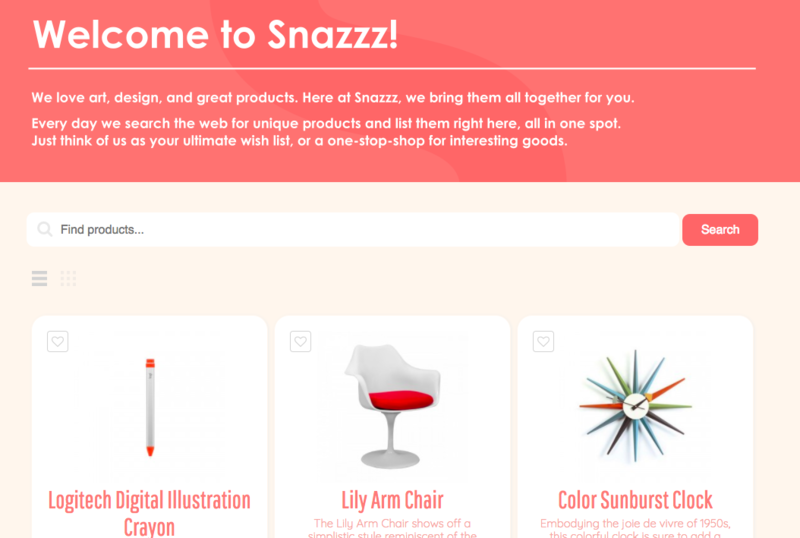 Depending on your niche, you can find other products on sites such as Uncrate, Cool Material, and Snazzz. 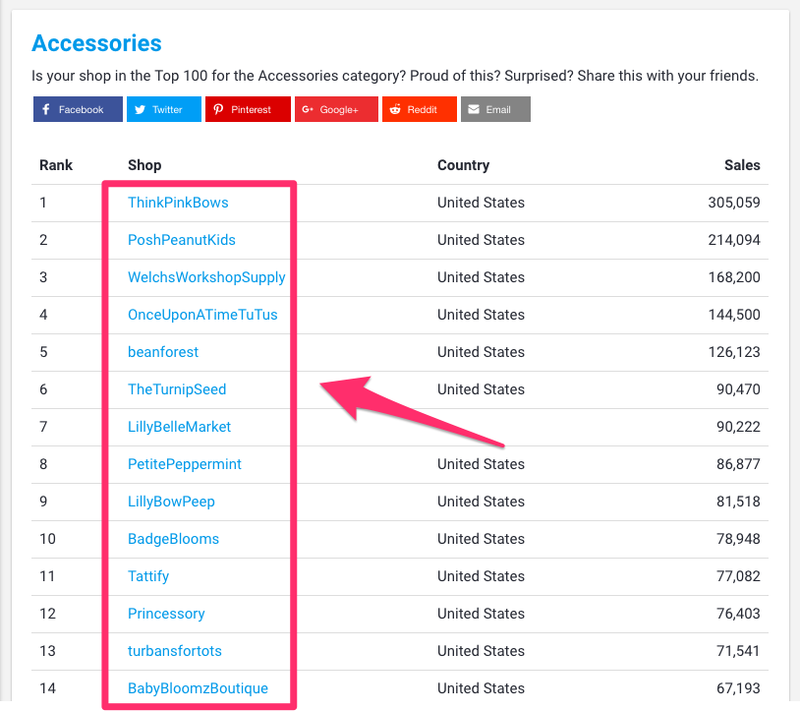 This is a great way to find new products and see what’s popular. If you want to reduce the risk for a new product, find something that people already use. Making small improvements to a product that’s already popular is a surefire way to launch a successful product. In a minute, you’ll learn the best places to read about what people buy. But first, here’s what you need to look for. Branding opportunities. A lot of product categories lack any strong brands. This is especially true the cheaper the product is, the less pleasurable the buying experience is, and the less status the product provides. Cars, for example, are expensive, can indicate status, and have an exciting buying experience (test driving, looking at cars on the lot, etc.). A Toyota and a Maserati say different things about the owners. But pencils are cheap, don’t indicate status, and are simple to buy—just grab them off the shelf at the dollar store. Because of this, few people could tell a difference between pencil brands like Ticonderoga, Dixon, USA Gold, or even the Walmart Casemate brand. Niches without a distinct brand have an opportunity. If you create a new pencil brand, you can distinguish yourself from an otherwise “boring” niche. You’ll learn about branding in another chapter. But if you created “the perfect pencil for carpenters,” you could create a unique brand and charge far more for it. When possible, look for a niche with branding opportunities. Vanity and guilty-pleasure products. If you’re looking for a high profit margin and a dedicated fanbase, consider selling products that appeal to status or are otherwise not needed. When we need a product (think soap, gasoline, or printer paper), we usually buy based on price. But when it comes to vanity products (think gadgets, cars, or alcohol) we often spend more than necessary. Apple computers, Harley-Davidson motorcycles, and Jack Daniels whiskey are more expensive than their niche counterparts. But they’ve created a brand name as vanity products that signify status, and people are willing to pay extra for it. If you’re going to create a brand for yourself, try to build the same type of luxury status with what you sell. Look for opportunities everywhere. Finally, don’t be shy about where you look for product ideas. They’ll come when you least expect them to, so you need to be aware. While you’re in the discovery phase, think of everything as a possible product. Conversations with friends trip to the grocery store and random internet browsing could all land you the perfect idea. Keep your senses sharp for the infinite number of product ideas around you. 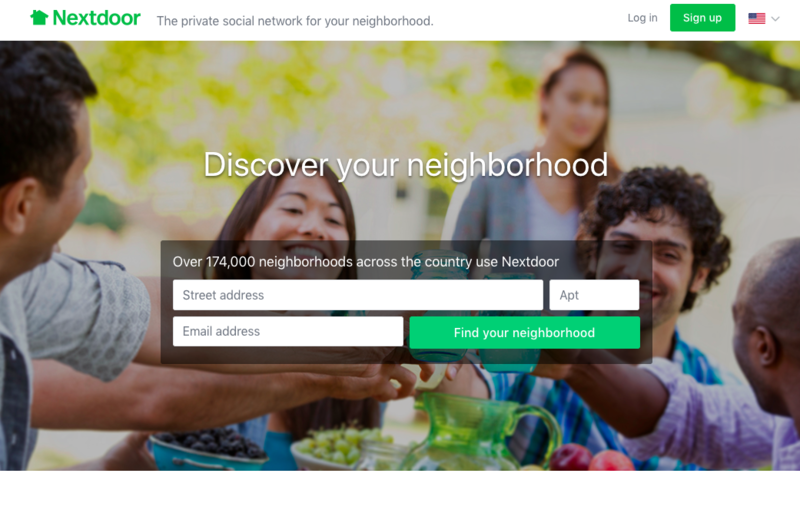 Sites like Nextdoor allow you to talk with others in your community. This is great if you’re selling products in a local market (e.g., fresh honey delivery through your eCommerce store), or live in an area surrounded by defined target customers (e.g., you sell tech gadgets and live in Silicon Valley). Use these sites to learn what others are frustrated with, how they want to save time, and what products would be useful to them. You can find common frustrations on existing products through consumer reports. A more formal way of doing this is by using the actual website Consumer Reports to see opportunities to improve products—but you’ll need to become a member to see the reviews. One factor to consider is that Consumer Reports is written by experts. While this may sound like a positive (and it probably is for the best product), the experts aren’t the ones spending money. Experts would probably agree that Coca-Cola products aren’t good for you, but consumers aren’t rational—and Coke earns $35 billion in sales each year. 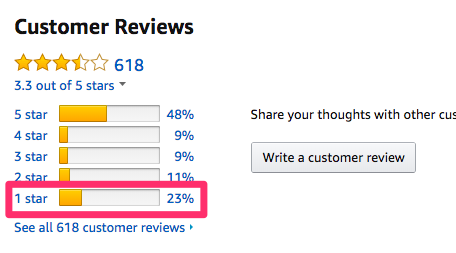 I recommend looking at Amazon reviews for unfiltered views about different products. Start by searching for a product on Amazon. Find one of the most popular products. 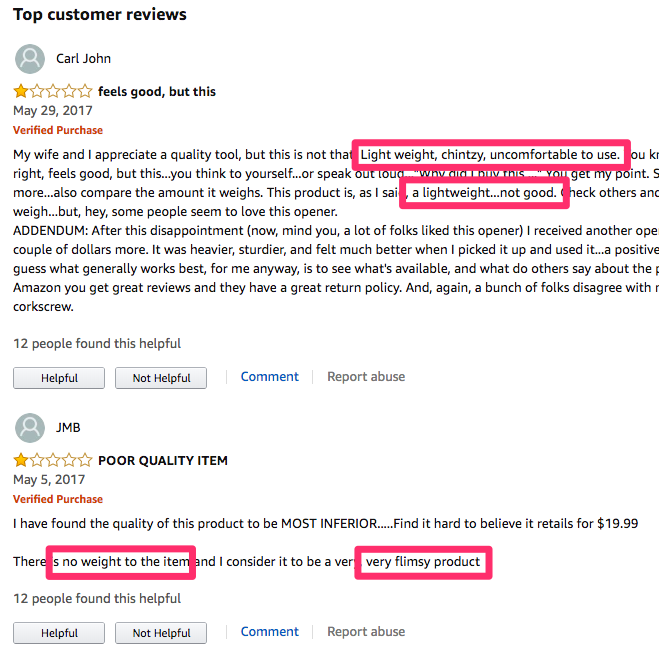 On the product page, click on the reviews. Sometimes, the most helpful reviews provide helpful insight into what’s wrong with the product. Look for specific criticisms instead of general phrases. 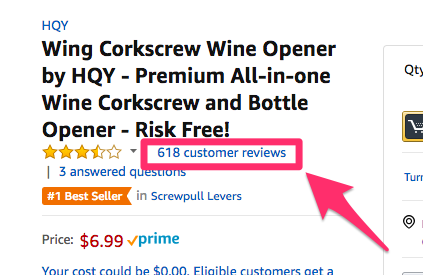 In this example, the corkscrew seems to be too light, and top reviews criticize it for feeling cheap. If the top reviews aren’t critical, you can search for just one-star reviews by clicking “1 star” on the reviews. This lets you know what could do to improve the product and offer something better than what’s already a top seller in its category. 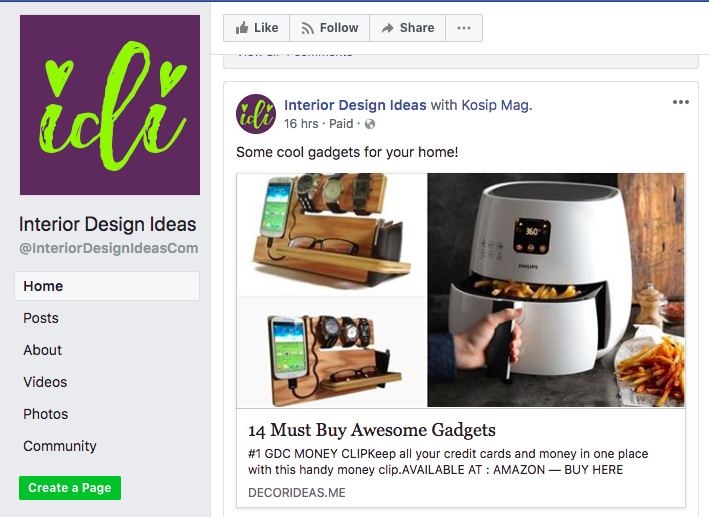 Social media can be a goldmine for product ideas if you know where to look. 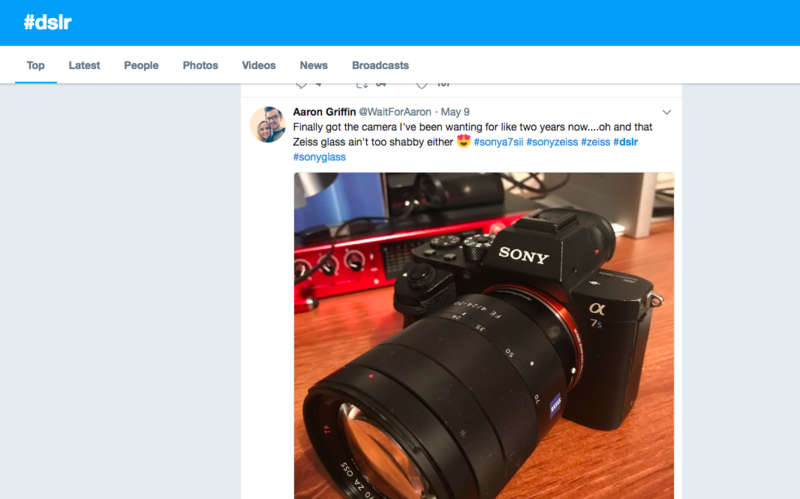 Here’s exactly how to find great product ideas using the power of social. Social forums are one of the best places to conduct your research. Look on these sites for topics that follow your niche. The best forums to look for are Reddit and Quora, along with industry-specific forums you can find along the way. 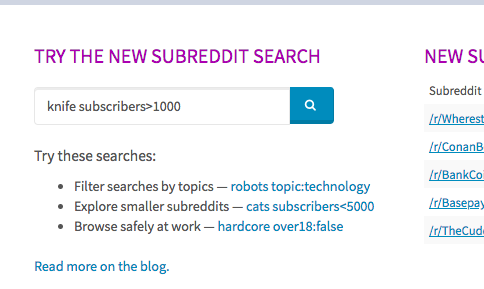 To start, search for subreddits—the separate topic categories in Reddit. 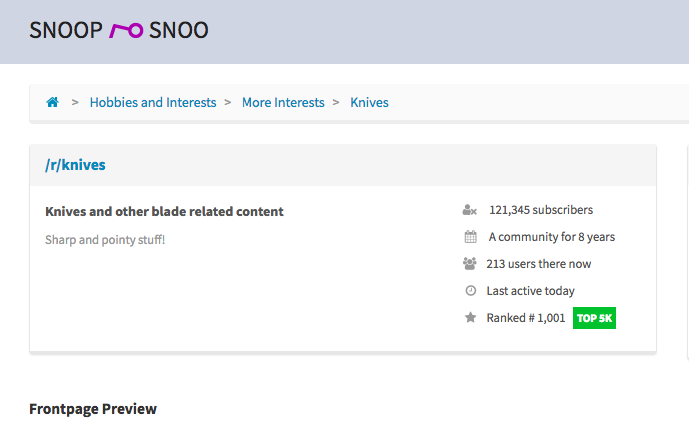 SnoopSnoo is a good tool for finding relevant subreddits. Search for your topic. 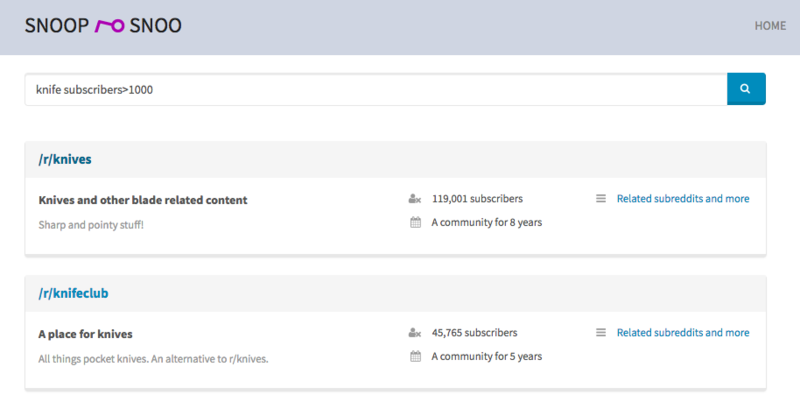 I recommend only searching for communities with over 1,000 subscribers, so you find active subreddits. Choose any subreddits that look promising. 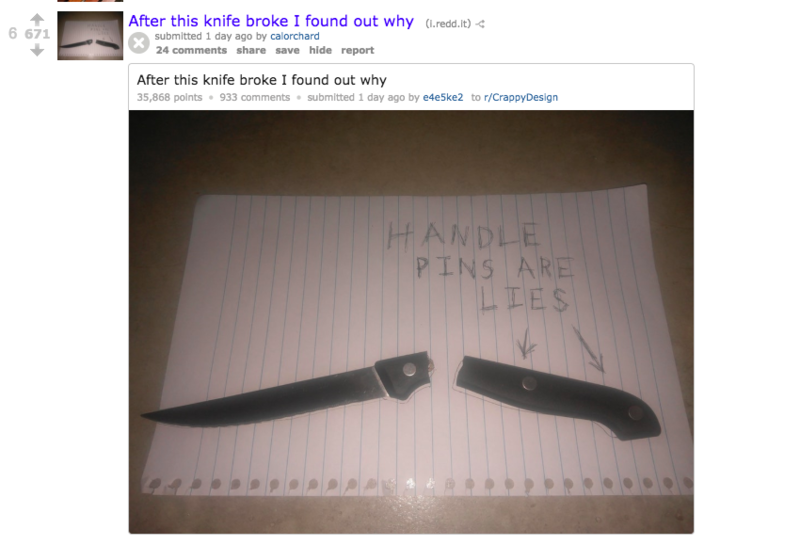 Clicking on the /r/subreddit link will bring you to a detailed page. From there, you can look at the subreddit itself. You’ll find high-quality product reviews and complaints. Even better, you’ll learn exactly what fans of your niche think about different types of products. Another helpful forum-like site is Quora. 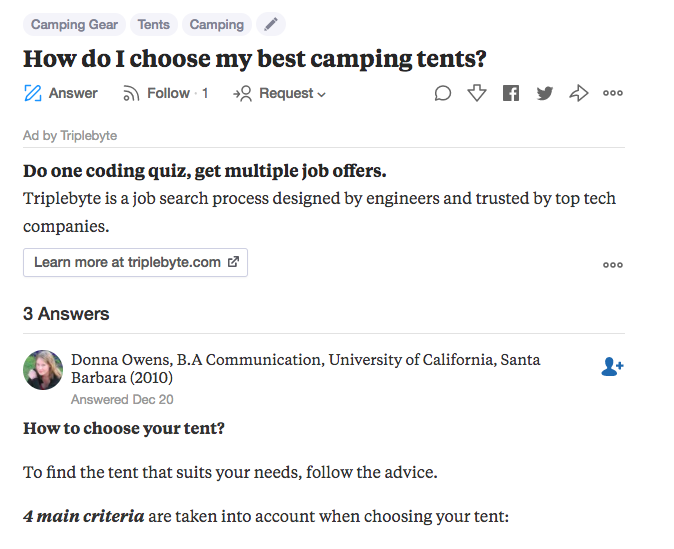 Quora allows users to ask niche-specific questions and get answers from other users. 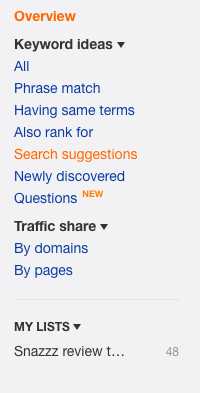 Visit Quora and search based on your niche. Explore the posts that have been made in that niche and take note of the sort of questions being asked and the suggestions being given. Finally, you can find useful information on industry-focused forums. Use the phrase “allintitle” to restrict search results to pages with “forum” and your product category in the title. You’ll get a list of forums where people talk about the pros and cons of different products. Again, our goal is to find specific feedback about different features of popular products. 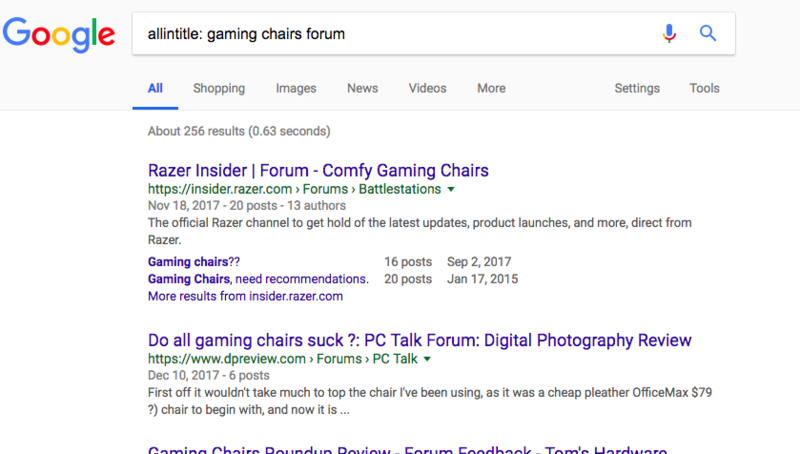 On one gaming chair forum, lower back pain is the biggest complaint. Because these forums are unfiltered by companies, you can quickly learn what customers really want to see in products they’d pay for. Next, take a look at social media you already know and use. Facebook, Twitter, Instagram, and LinkedIn can provide lots of feedback on products customers are interested in buying. First, try Facebook groups interested in your niche. That’s where you’ll find uncensored feedback on which products are best and what people want to buy. Next, you can look to Twitter for product ideas. 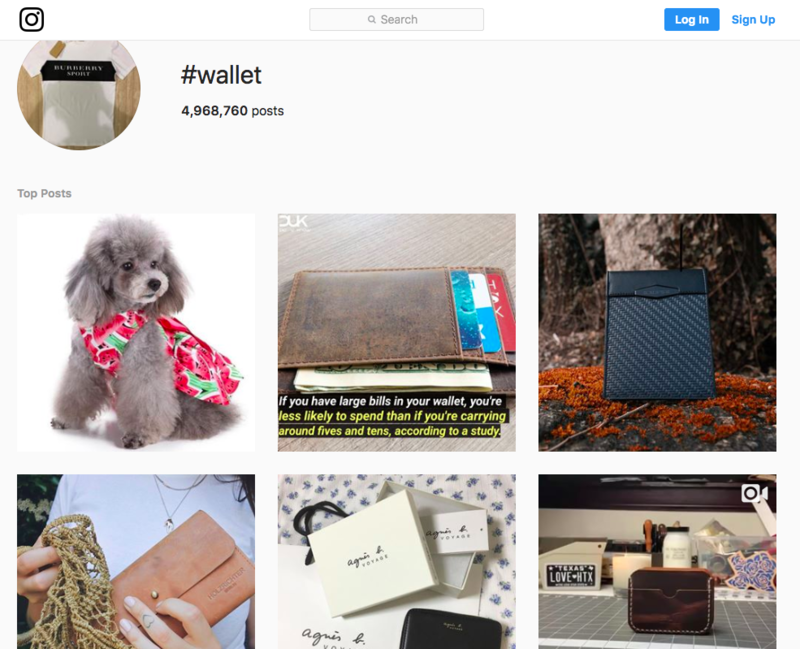 Use simple hashtags to discover more about the product you’re interested in selling. You can use those same hashtags to find product ideas on Instagram. You can also use phrases like #buy or #want to find purchase intent. Finally, if you’re in the business-to-business industry, use the hashtag #b2breviews on LinkedIn to find in-depth product reviews by other professionals. No matter which site you choose to use, you’ll find plenty of ideas you can use for your next product. The next type of social discovery you should use is social curation websites. These are focused more on the products than the people, which makes them the perfect place to look for new product ideas you can use. 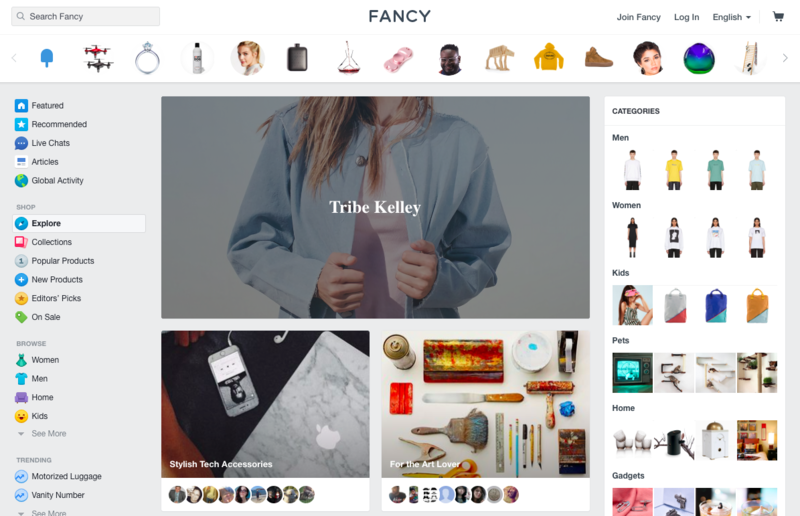 The first place to go, especially if you’re marketing towards women, is Pinterest. 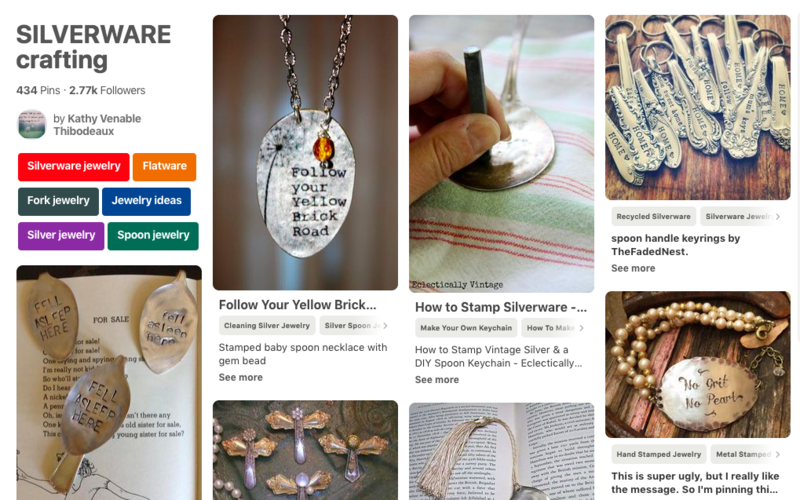 Look for Pinterest boards with products similar to your niche for ideas. Another site to look into is Fancy. You’ll find a huge variety of product in different categories, along with reader likes and lists. It’s easy to see what types of products grow in popularity and which go together. 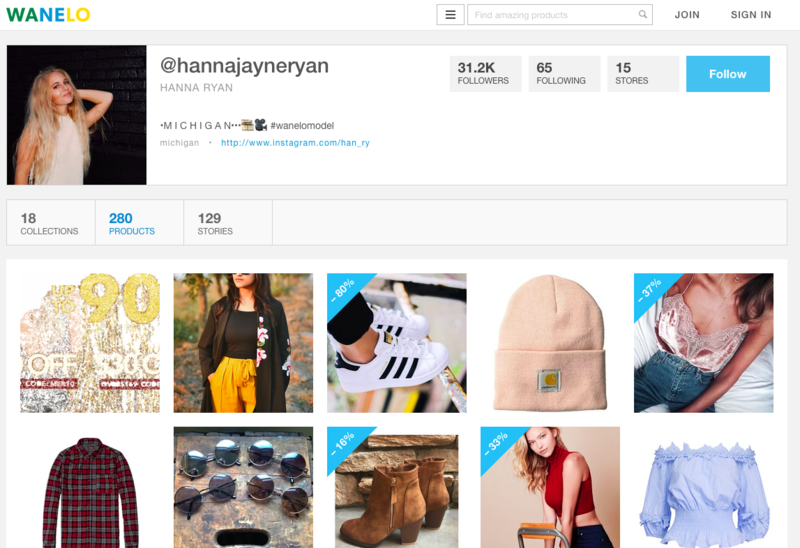 Wanelo—standing for Want, Need, Love—features products from a huge variety of stores, as well as curated lists by models and fashion influencers. Choose an influencer that works in a niche related to yours, and you can find an endless number of product ideas in their feed. 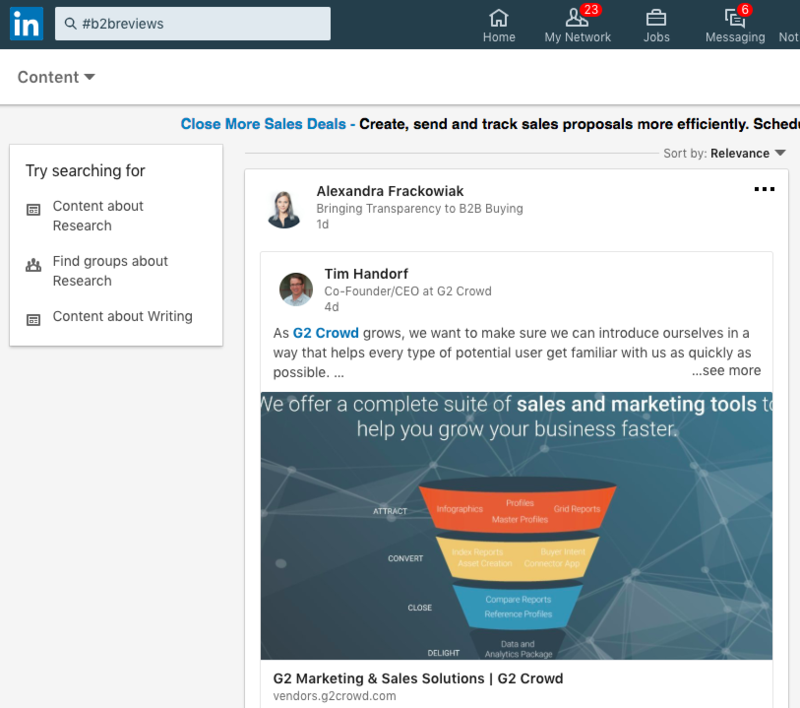 Besides the ones we’ve mentioned here, there are even more social product discovery websites based on different niches. 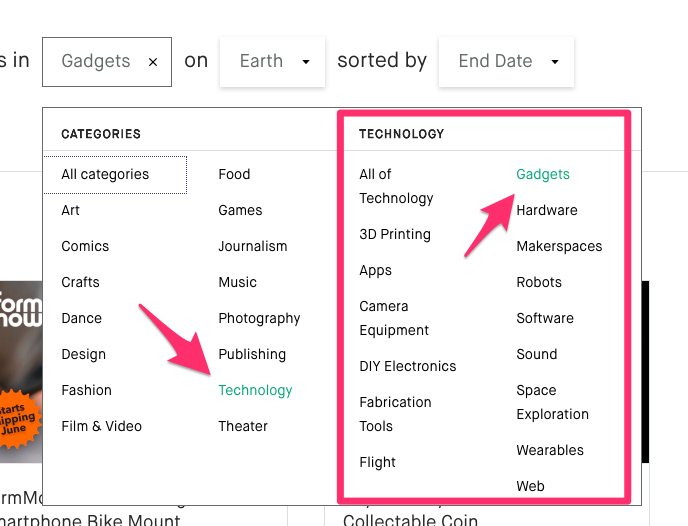 It’s a good idea to do some research in your category to see if you can find a site built around the type of product you’re thinking about selling. If a market keeps selling the same thing, you had better believe it’s making money. While you shouldn’t create a direct copycat product, you can take this success as an inspiration for your own product creation. Finding a product that already sells is one of the best strategies to make your first sale. Here’s where to look for existing sales. A great place to start your search is through B2B marketplaces. These are the companies that create the products, which are then sold on eCommerce stores around the world. If something is popular here, it means it’s probably making money throughout the eCommerce world. The mother of all B2B marketplaces is Alibaba, and you should start there. 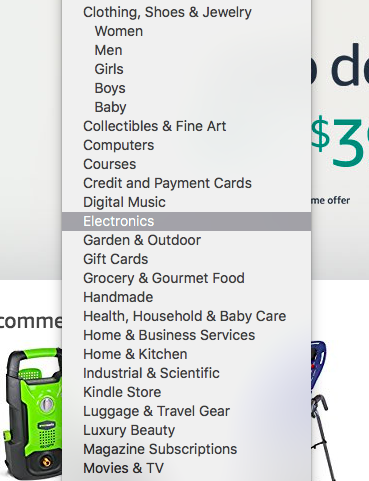 You can even click on a category like consumer electronics and see which products and categories are hot right now. You can look at all or just a few of these to get an idea of what products are selling well in the B2B world. Finally, you can look at how products are selling in the consumer markets. This is great because you can see what people are actually buying. In general, the closer you are to people paying money, the more accurate your product ideas will be. There are plenty of marketplaces, but the big one is of course Amazon. 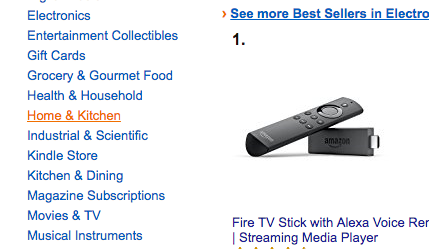 Amazon makes the process easier by maintaining an ever-updated list of the most popular and best-selling items. 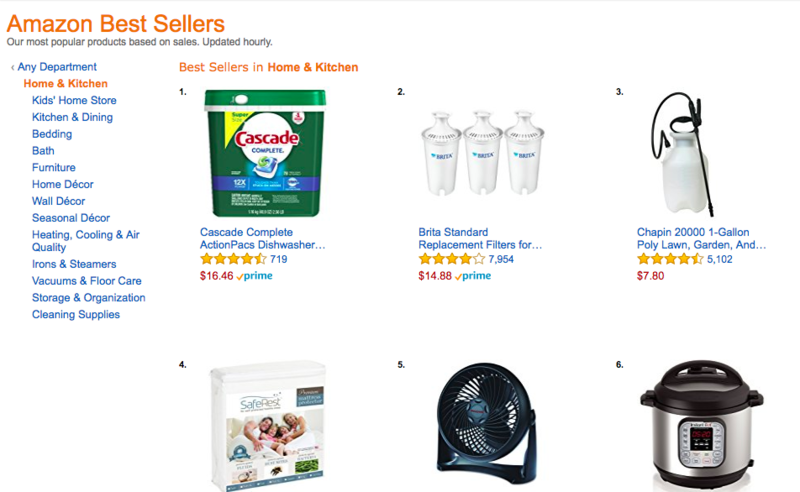 Go the Amazon Best Sellers page and select the category you’re interested in. You’ll instantly see the list of best sellers, updated hourly. Look for a product you could sell, and read the reviews to see how you could improve it. 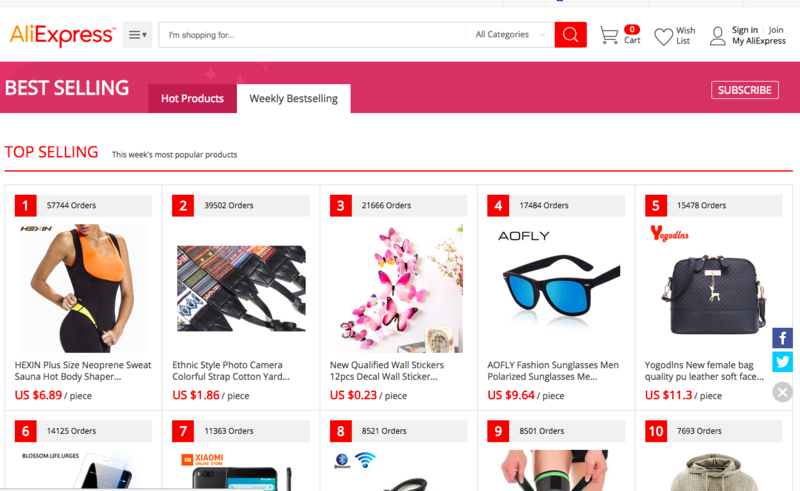 Another marketplace to inspect is AliExpress, Alibaba’s consumer-facing site. Go to their list of bestselling products. You can quickly see what’s selling well and which products you could sell yourself. Another marketplace to look at is eBay. 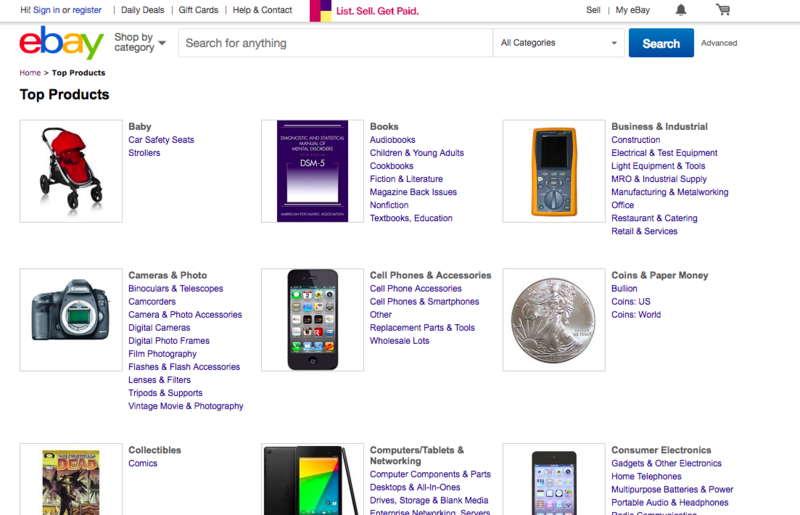 Go to the eBay category listing page and find your category. From that page, choose a subcategory. On the subcategory page, scroll down to the “Best Selling” section. You’ll find the bestselling options that people are buying on the marketplace. These are great ideas for products. And eBay has another option, too. 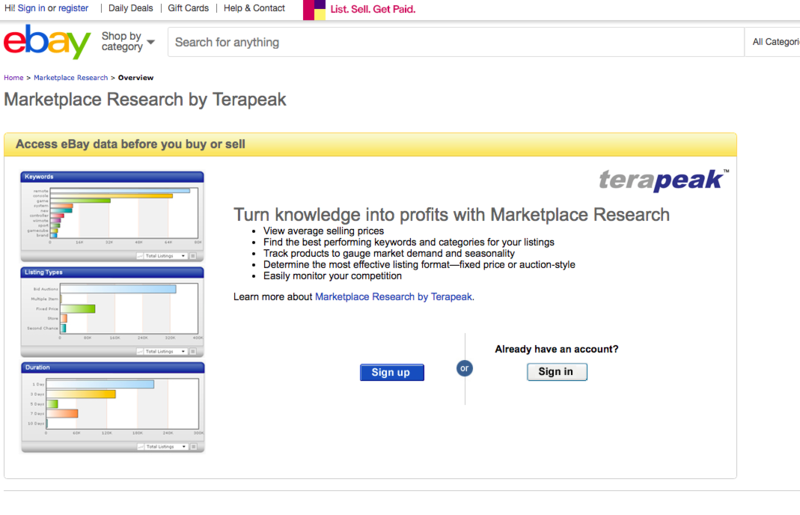 If you’re willing to spend a little money, you can sign up for their Marketplace Research. Another great opportunity is to see what products are doing well with crowdfunding. Unlike traditional marketplaces, crowdfunding products have risk involved. The product usually takes months to launch, and it might not ever launch without enough funding. This means products doing well on sites like Kickstarter have an audience that’s even more eager to buy than normal consumers. 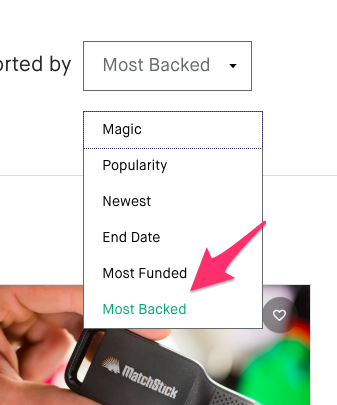 To start, do an advanced search through successful Kickstarter campaigns. Choose your category and subcategory. 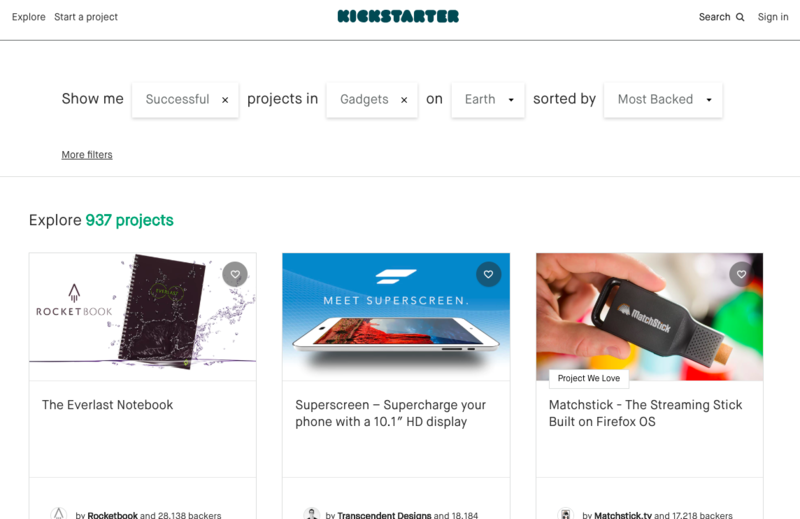 You’ll get a list of incredible products that have succeeded on the Kickstarter platform, giving you plenty of ideas for your eCommerce store. If you sell handmade products, look to see what’s selling well on Etsy. 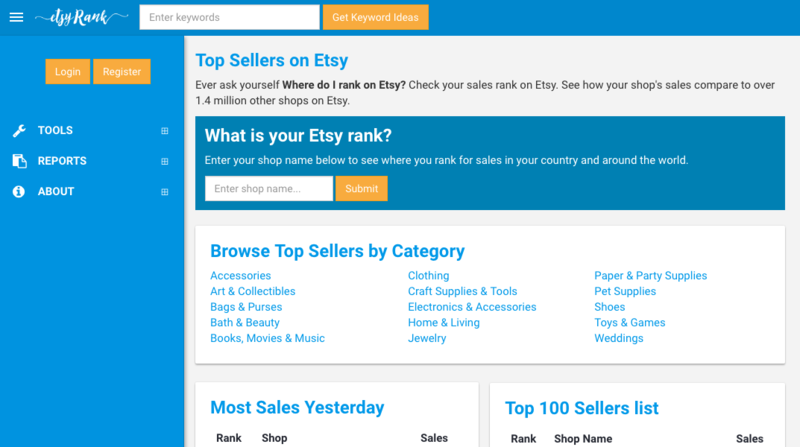 I recommend EtsyRank’s top sellers list. You’ll get a giant list of the top sellers in that category. Click on one to find the total sales. Click on the name to go to that seller’s Etsy page. You’ll see what products they have to offer, their store layout, and how you can create similar items for your store. In addition to these marketplaces, there are probably sites closely related to your niche that you could search for even more products. If you’re stuck with finding a new product to sell, there are thousands of answers all around you. Start by looking at opportunities in real life, by asking people and learning what people would be interested in buying. 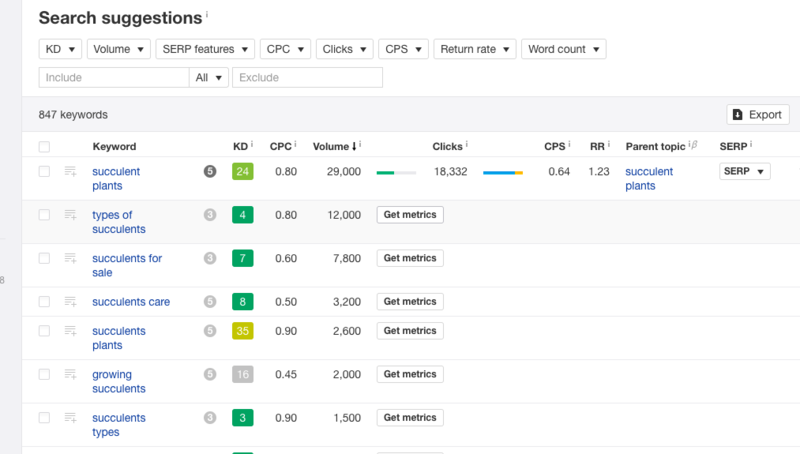 You can also do in-depth keyword research to learn what’s successful for internet searches and what your competitors are doing well. Online trends can give you an idea of what’s popular right now and where you can look for hidden gems. Product reviews and consumer reports can provide helpful feedback on product categories to explore, and social forums and communities can help with that starting point as well. And finally, consumer and B2B marketplaces will give you the answers you need to learn what people are eager to buy.